Hey guys! I hope you are all having a terrific week so far! I have reached week 6 of my fitness journey which means I am halfway through my program. Getting up for the gym is a breeze now; its become routine. Even last Saturday I slept late, but I still woke up on time and made it although I was tired. Now I'm trying to get everyone on this fit life journey! My sisters make me remind them to work out, even my mom has been using her treadmill which was just collecting dust for years lol! I just want everyone to live a long life. Speaking of living long, February is National Heart Month and I am not referring to Valentine's Day. Heart disease is the leading cause of death for men and women in the United States. Every year, 1 in 4 deaths are caused by heart disease. The good news? Heart disease can often be prevented when people make healthy choices and manage their health conditions (Heart.org). 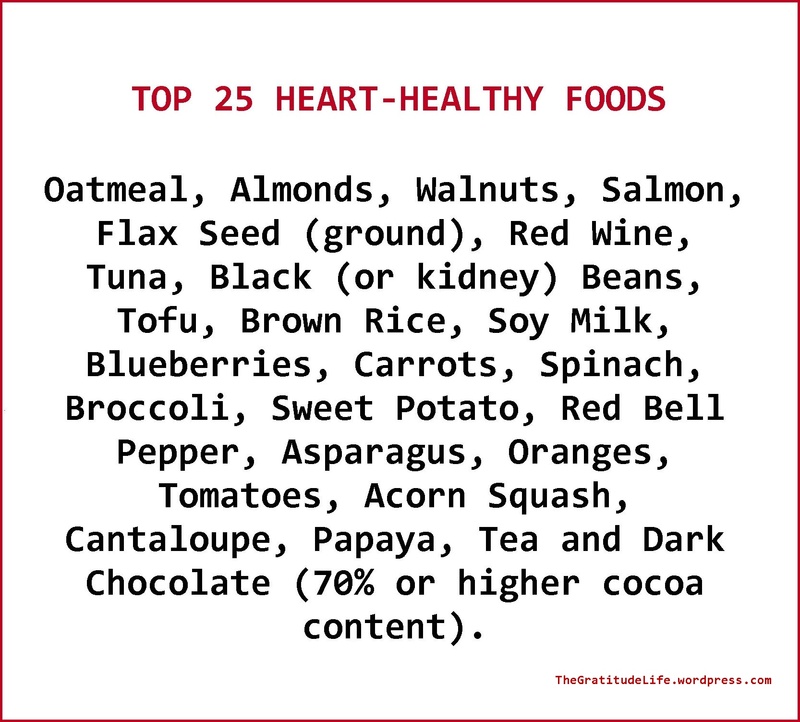 Below are foods and exercises to get you started on the path to a healthy heart and healthy you! Till next time! Stay blessed and heart strong!